I was the nail in Clemson at Collegiate Nationals. In other words, having bad races is part of any sport. 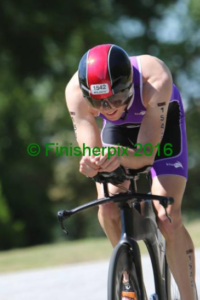 After some time reflecting on a disappointing race for me, I’ve decided to write some of my thoughts about the race. While planning my season with Brent early this year, we knew that April would be a tough month for me. I wanted to do well at all 3 races on my schedule but had to keep in mind that it’d be difficult and recovery would be important. In short, I had my collegiate conference championship race, Galveston a week after conference, and then collegiate nationals two weeks after Galveston. Three races in four weeks might have been a bit of a shock to my system. I also think that it took me a bit longer to recover from Galveston due to the heat exhaustion. Brent also thinks I need to get some blood work done to make sure everything’s working like it’s supposed to. I plan on doing that when I get back to Arizona. To be completely honest, I was more motivated towards having a good performance at Galveston because it was my first pro race. For the first time in my “club” collegiate triathlon career I let nationals and conference take the back seat. In the past, collegiate nationals was always the priority of the year. Almost everyone that races collegiate nationals makes it their number one priority and organize their season accordingly. 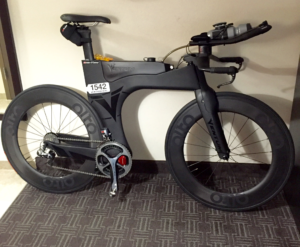 It’s like the Kona of collegiate triathlon. This year I earned my wave one spot and was able to start with all of the fastest guys. 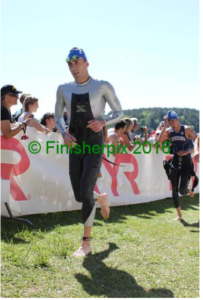 I had a good swim exiting out of the water 11th with a few other guys just a minute and a half back from super swimmer Greg Harper. The swim was nice because I had lots of open water and very minimal contact because I started on the far right. 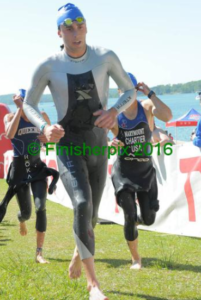 When I exited the water I ran from the swim exit and up the small hill leading into T1. This is normally the hardest part of the race in my opinion but for some reason I felt absolutely winded. I actually had to slow down and walk once I got into the transition area. Something I’d never done before. I actually felt like I was going to pass out for a few seconds. Kept my wetsuit up for awhile. I got on my bike and right away I tried to ride hard but got dropped by some of the guys that left T1 with me. I just didn’t have the legs and my Alto wheels wanted to go faster than I could make them. The machine equipped with Alto Wheels. I got passed by probably 20 or so guys and it was really frustrating because I was breathing really hard and getting dropped like a sack of potatoes. I was also discouraged to see how much drafting was going on with the front group. At some points it was completely unavoidable but it other times it looked like a team time trial. Here is a video from Kyle Polansky, who had a camera on his bike, showing the drafting and course congestion. If you go to 0:16 seconds in the video you’ll see the front group and only one guy (Michael Arishita) not drafting. Even worse, I only saw one official motorcycle and I was actually trying to avoid getting run off the road by it. I wanted to yell at them because they weren’t giving athletes enough room. It’s a double edged sword. USA Triathlon needs to do a better job on venue selection and course creation. If they are going to allow the same number of athletes to race, then they should change the course to one loop. If they refuse to make it one loop or can’t, they should set a time standard and cut the number of athletes down. Countless times, including ALL four collegiate nationals I’ve participated in, I have seen athletes get into crashes because of the combination of officials on motorcycles and a crowded course of athletes. One thing worth noting is that they changed the course from last year and in my opinion, the course was much harder this year. The total elevation gain on the bike was around 1,500 ft in 25 miles and the run was not exactly flat either. To give you an idea about how hard the course was, only 4 guys were under 2 hours whereas last year on the different course the top 47 guys were under 2 hours. Part of this is the longer run course but it’s also worth noting that only 4 guys were under an hour on the bike. 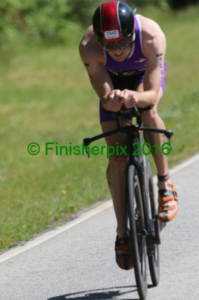 Regardless of a poor performance and disappointing way to finish my collegiate triathlon racing, it was another race under my belt and a good learning opportunity. Graduation is next Saturday and then I’ll be driving back to Arizona to live at home with my parents until I can find a job. I am looking forward to starting my next chapter but am grateful for my experience at TCU. A huge thank you to my parents for everything they do for me. 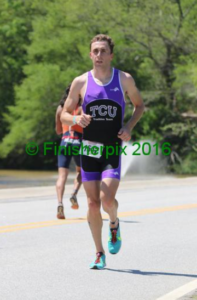 Whether it’s traveling to my races, helping the TCU tri team have a positive experience, and just supporting me to continue my triathlon endeavors, they never fall short of amazing. Also, thank you to Brent, and all of my supporters, Ventum, Kiwami, Xterra Wetsuits, Alto, and Honey Stinger.